His Randall & Hopkirk booklets are fantastic also. I'm sure it's the same with any series he turns his hand to. Yes, he puts his heart and soul into all his projects. "Too honest"? I don't get it. The word he actually used was 'Frank'. I asked him about it and his reply was that "a lot of the interviewees were critical of each other" Not sure if he means IKM and Ted Childs there, who I know have not had kind words for each other. I must say that 'The Sweeney' does bring out the ugly side in some people. The original series 1 BD sets with book are now being priced at over £50 by sellers on amazon, who don't appear to stock it anymore. Obviously deleted already by Network. Watch the ones with the books go up in price. Network will obviously do the same with Series II-IV so if anyone is thinking about picking them up I would recommend they do so soon before Network inevitably deletes all the sets with books. Complete Series coming out on DVD from Network (11.9.2017) 22 discs. I would bet my pension on that being the case Felix. 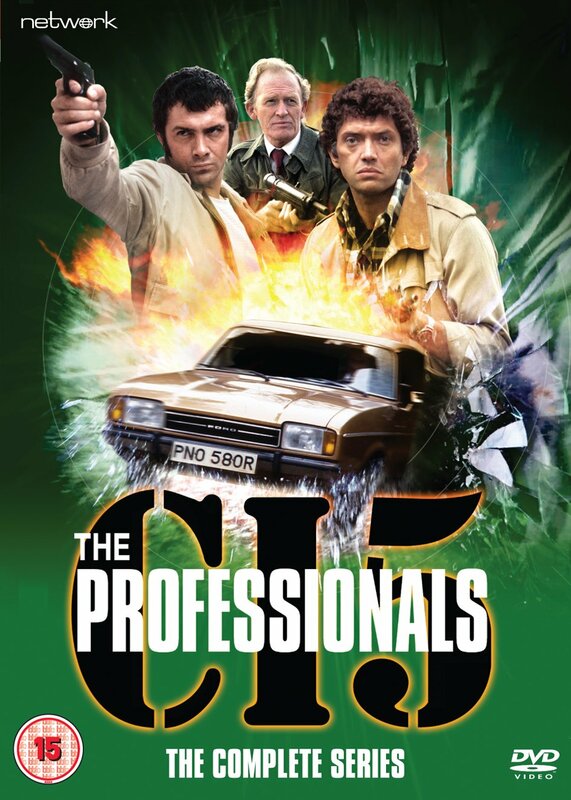 The Professionals looks amazing on ,Blu-Ray and the Pixley books are great icing on the cake. I think it's worth reminding people that if anyone is thinking about getting the original II-IV releases with the books, then now is the time to do it before prices start to rise as they go out of print as MKI has done. Looking at both the Network site and Amazon yesterday, it suddenly occurred to me that the new Pros releases might be without the book. Comparing the lists of extras, I saw this to indeed be the case. As I was aiming to get MKIV for Christmas, and as yesterday was the 40th anniversary of the first episode going before the camera, I quickly bought the original DVD box set before it sold out! I am guessing that the UFO boxset may similarly be re-released sans the 600+ page book! I agree, I've known A.P. for 30 years and he's a 'diamond geezer' !!! Yes, all The Pro's sets are being deleted and reissued without the AP books. I also reckon 'U.F.O.' will go the same way. ...UFO sold out even before it had hit the shops! And this despite a pretty high price tag. I would hope that if they do re-release it, then it will be at a more affordable price. Still, well worth it for a multitude of reasons. I have also just ordered the Complete First Series of The Sweeney on DVD too, before this disappears as well. If other titles are available on Amazon, then it is old stock. Funnily enough I picked up the Australian boxset of UFO last week - comes with all the extras but minus the book, although for just £25 I'm quite ok with that. Which explains why, bizarrely, Keith Alexander is given top billing on the Amazon page! I am assuming this is the one you mean? I haven't got it, but I gather it has some good extras, such as ep commentaries by Michael Billington, George Sewell, Wanda Ventham, Sylvia Anderson, Deborah Grant and Alan Perry. The advantage of getting the UK release is that you get a 600+ page book by A.P. which goes into great detail and includes a few previously unseen photos from the casting sessions. The blu-ray also features these photos (and many more) in extensive photo galleries which make up just a small part of the special features. Thought so. Good. Even minus the book, the UK blu-ray will be worth getting when/if it comes down to a reasonable price when reissued. The Blu-ray is worth buying just for the improved picture quality. But the Network BD isn't that much better than the Aussie DVD. It certainly isn't 'Department S' standard. The set to go for is the Aussie set. The Extras leave Network's in the pits. Anyway back to The Pro's. I may consider buying the Australian UFO set at Christmas, primarily for the commentaries which cannot be found elsewhere. Ironically, it was through checking the news on Dave Matthews' Professionals website that I discovered that both Ed Bishop and Mike Billington had died. Hopefully my MKIV box set and Sweeney series one box set will arrive at the weekend - then they too will be hidden away in a safe place until Crimbo! Having been quickly 'checked' first of course!